On March 2019, Victor Ortiz (va2ron1) and Kevin Ponce García (k3vin), two of Imaginary Sense’s founders, participated and won first prize in Cobian Media’s Agrohack hackathon. 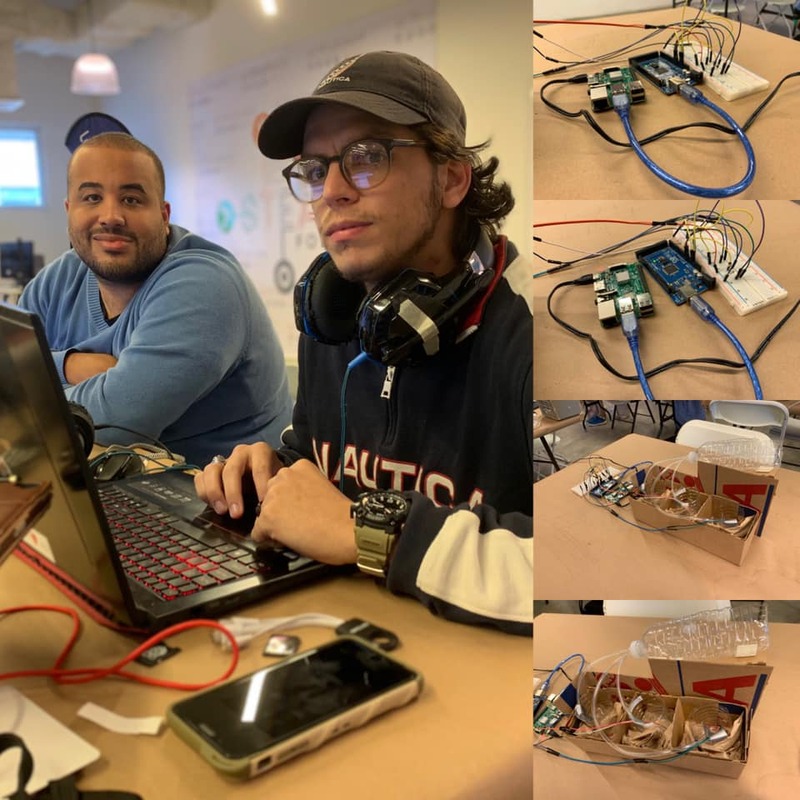 Here they developed a proof of concept for “Agrowth”, a microcontroler that takes information coming from soil temperature & humidity sensors, averages it, and sends it out as if it was a single sensor. Agrowth allows farmers to expand the capabilities of existing automation systems, to reduce equipment costs and maximize their produce. Farmers can use Agrowth with other analog 5V sensors, beyond temperature and humidity, to average their results as well. A dashboard allows farmers to specify which of the connected sensors they wish to consider while averaging. They can also use the dashboard to check out the temperature and humidity of the currently plugged in sensors. The dashboard can be accessed physically or remotely, if so desired. v@2ron1 and k3vin working on the hackathon prototype. An Arduino is used for Agrowth and a Raspberry Pi hosts the dashboard on this version.